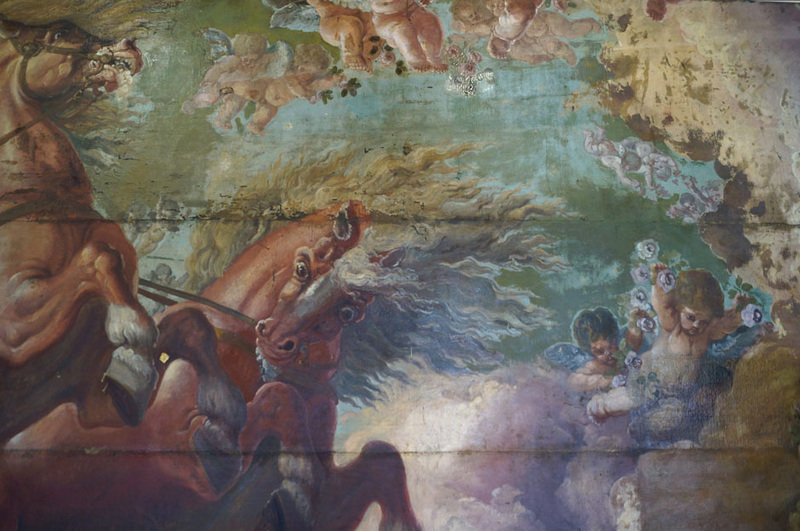 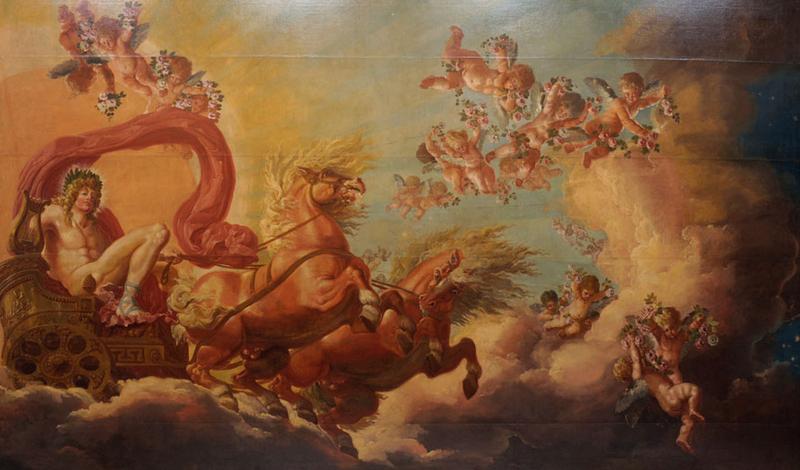 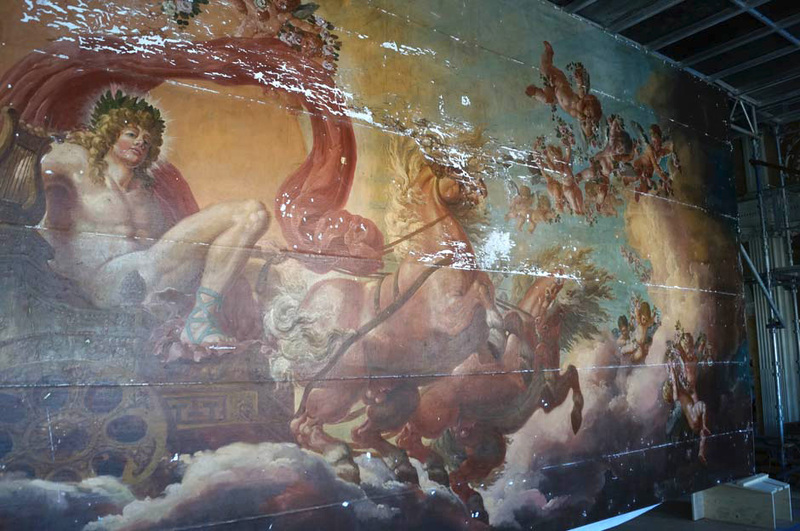 A large ceiling painting from the Columned Hall, Göta Provinsialloge, Gothenburg, Sweden, in oil on canvas, of Sun God, Apollo Pulling a Horse-drawn Chariot across the Sky, attr. 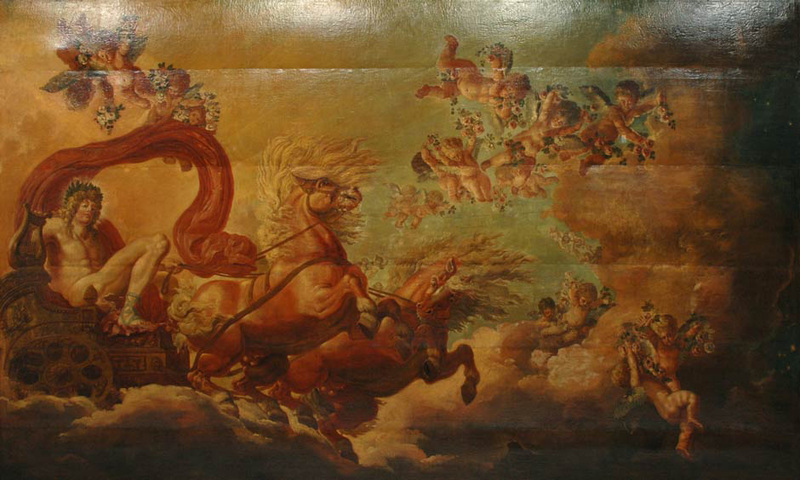 to L. J. Deprez, 400cm x 680cm, late 18th century. 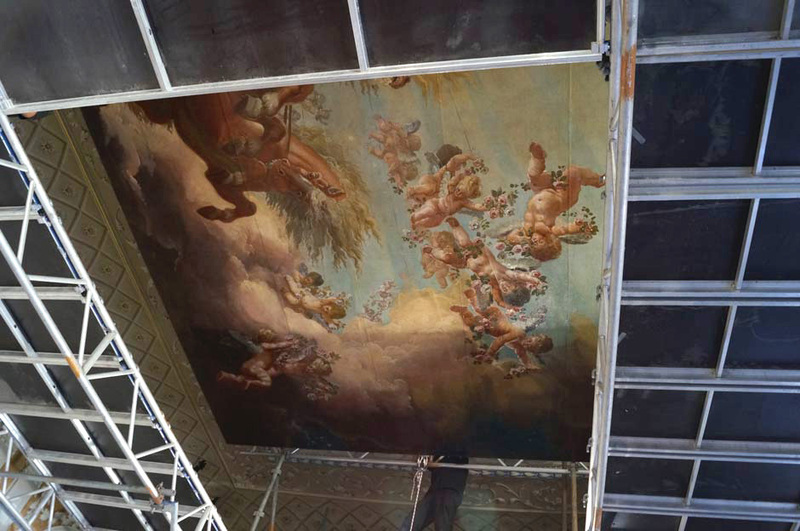 Another project completed this summer. 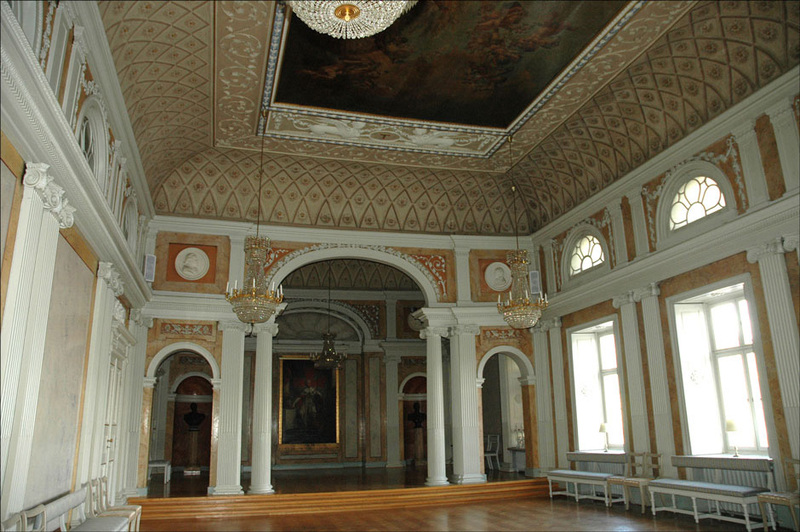 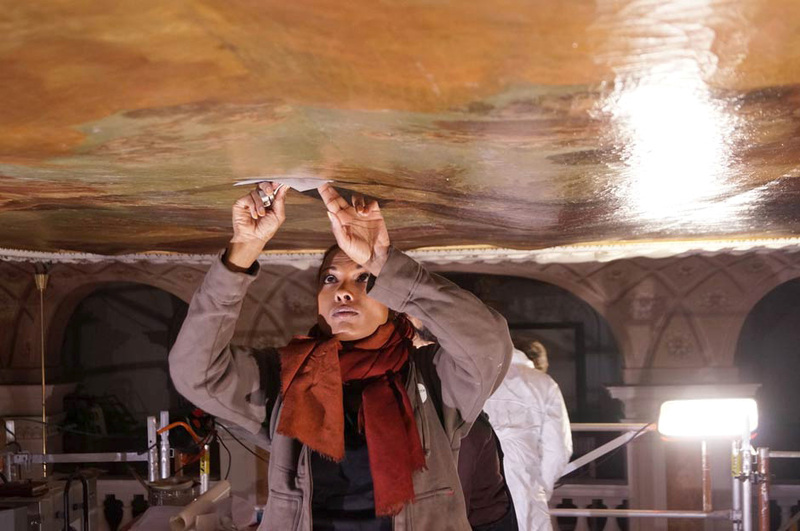 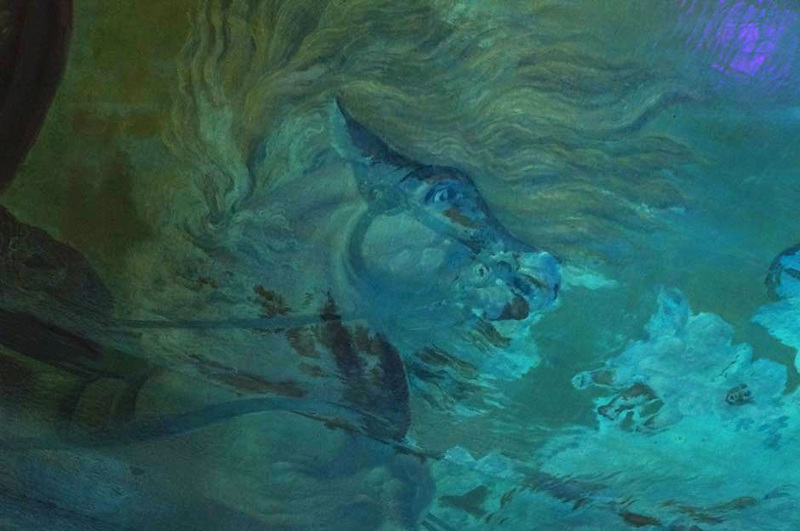 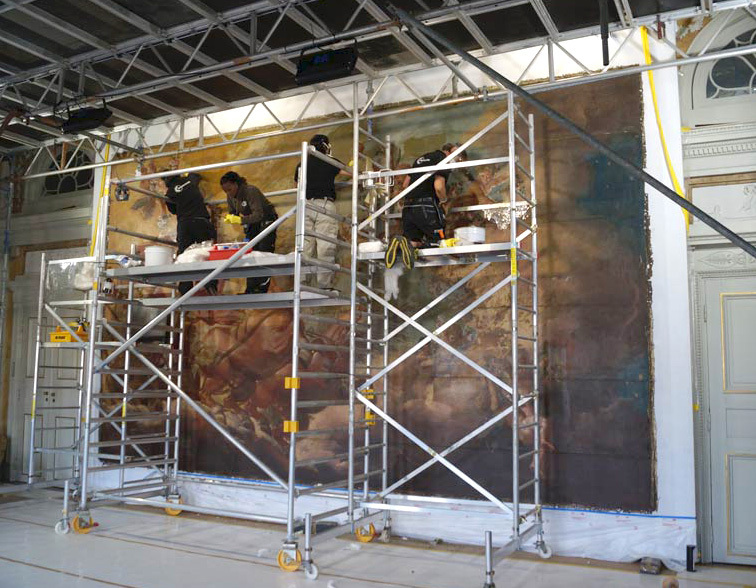 The work belongs to a relatively small group of monumental ceiling paintings executed on canvas in Sweden. 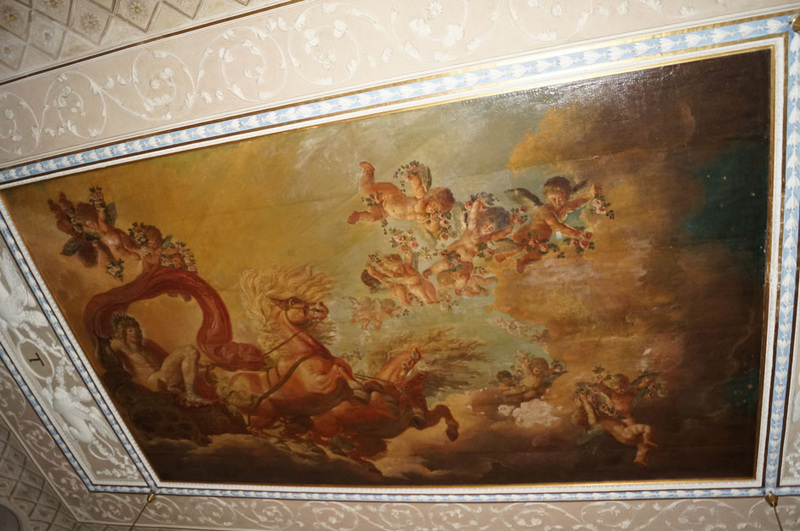 More often, painted ceilings were executed on materials other than canvas, for instance wood and plaster. 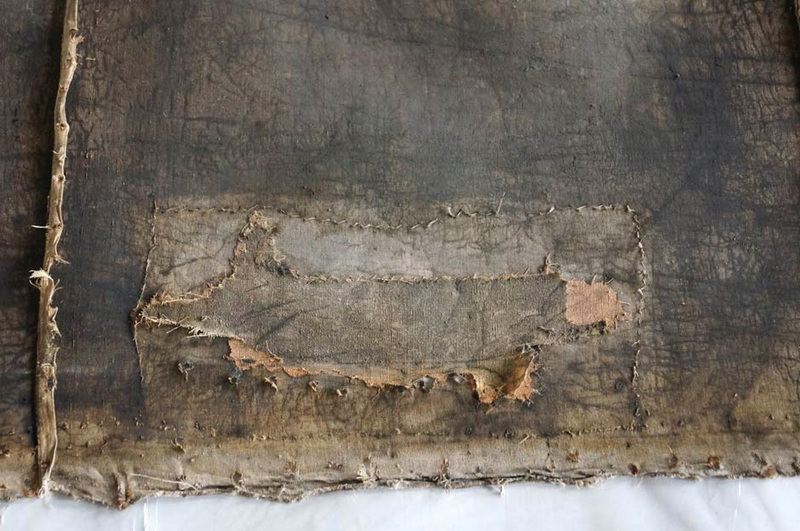 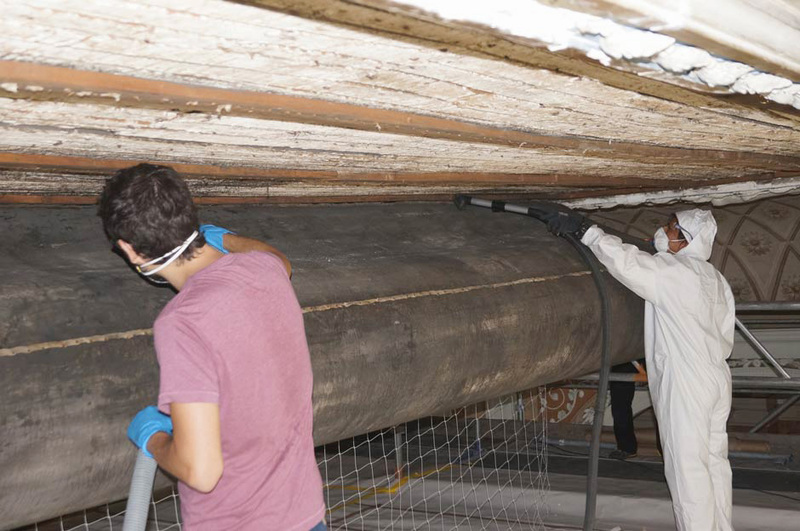 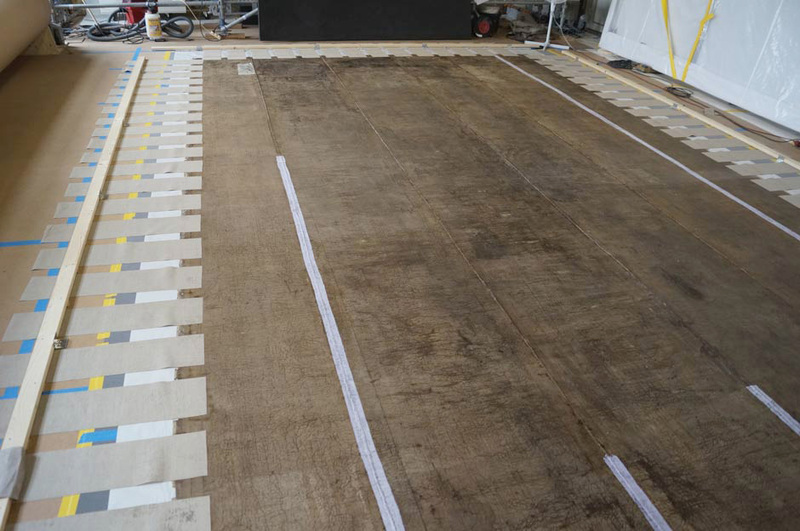 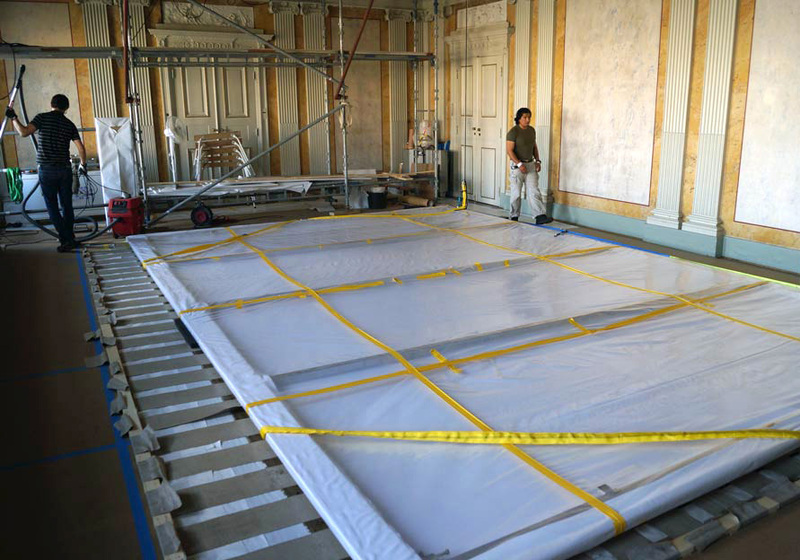 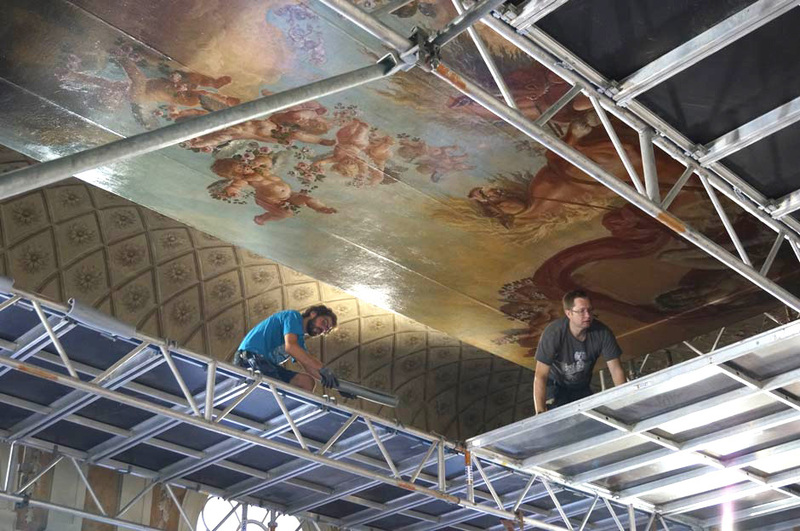 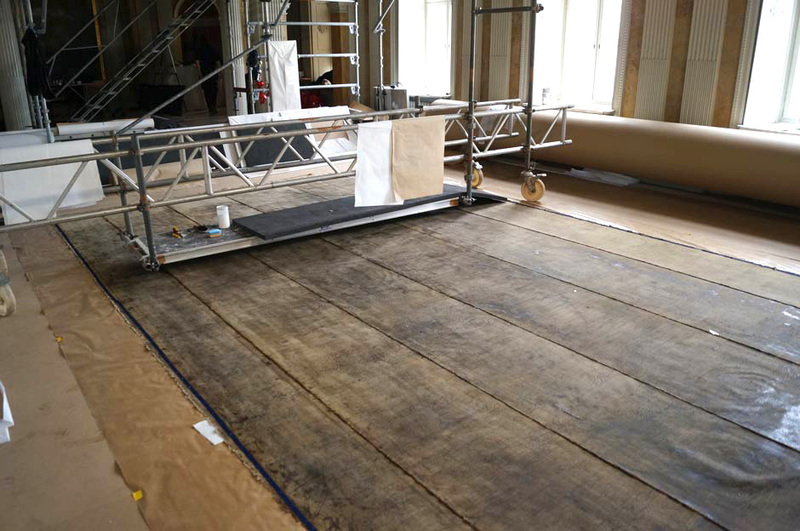 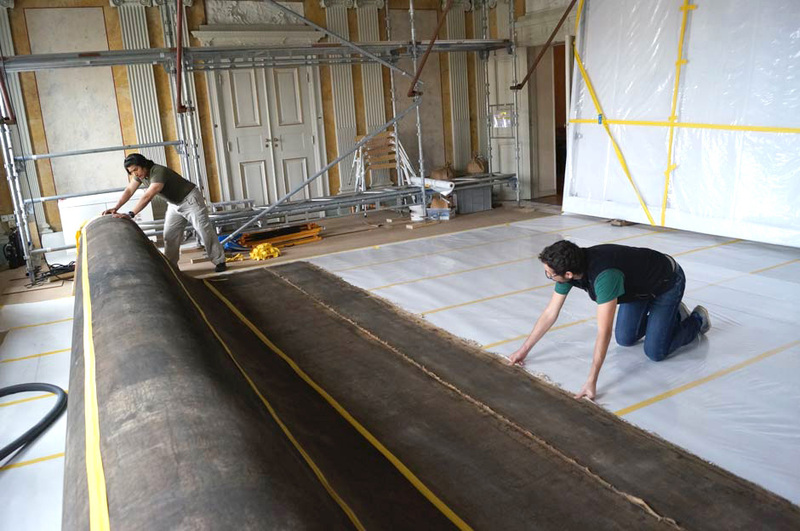 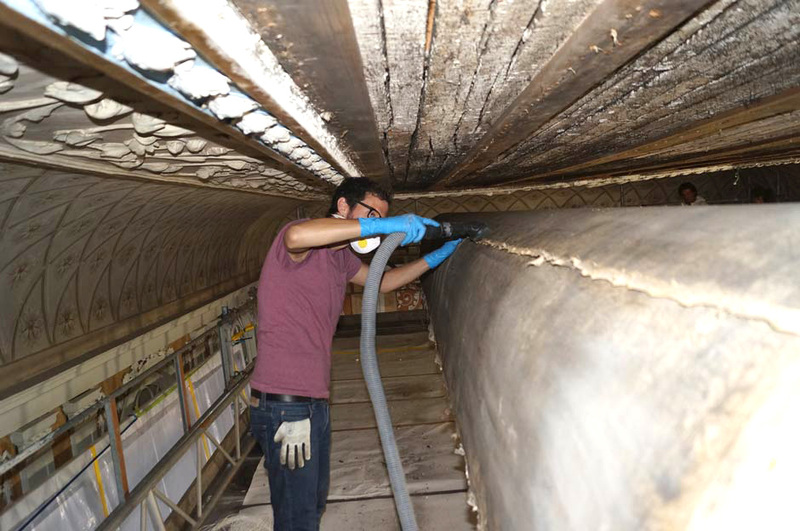 Working in association with a team of conservators from Gothenburg (J. T. F. Petéus AB), IFACS acted as lead consultants during the initial stages of project design planning and management, and actively participated in the programme of conservation work in situ. 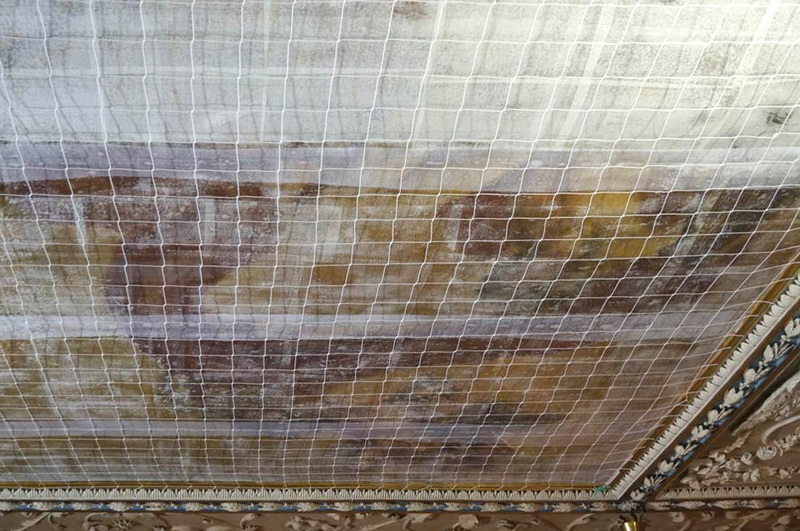 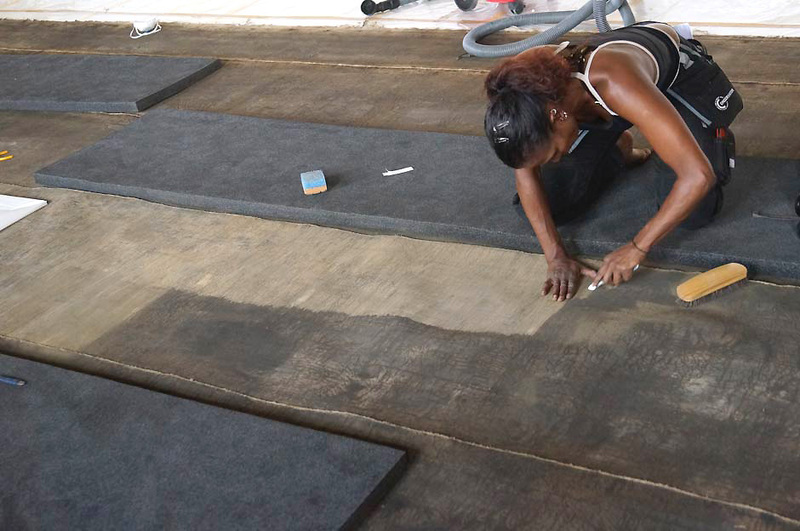 Treatment involved consolidation of flaking paint, application of a protective facing and removal of the painting from the ceiling, lining of the canvas onto a new supporting canvas, re-stretching onto custom-made aluminium stretcher, removal of old varnish and overpaint, varnishing, filling and retouching of damages to the paint layers, and re-installation at the hall. 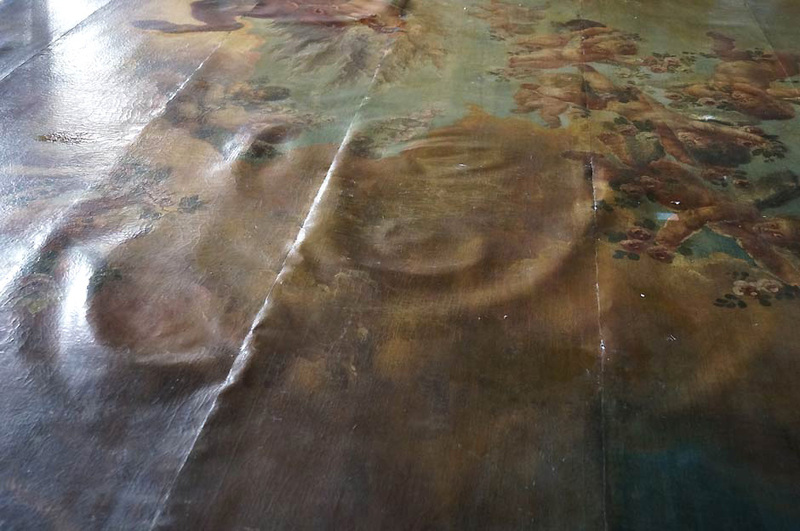 The painting is now standing back (or rather lying up) proudly in the Hall!